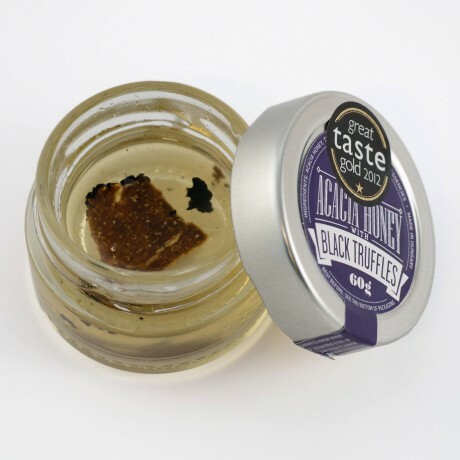 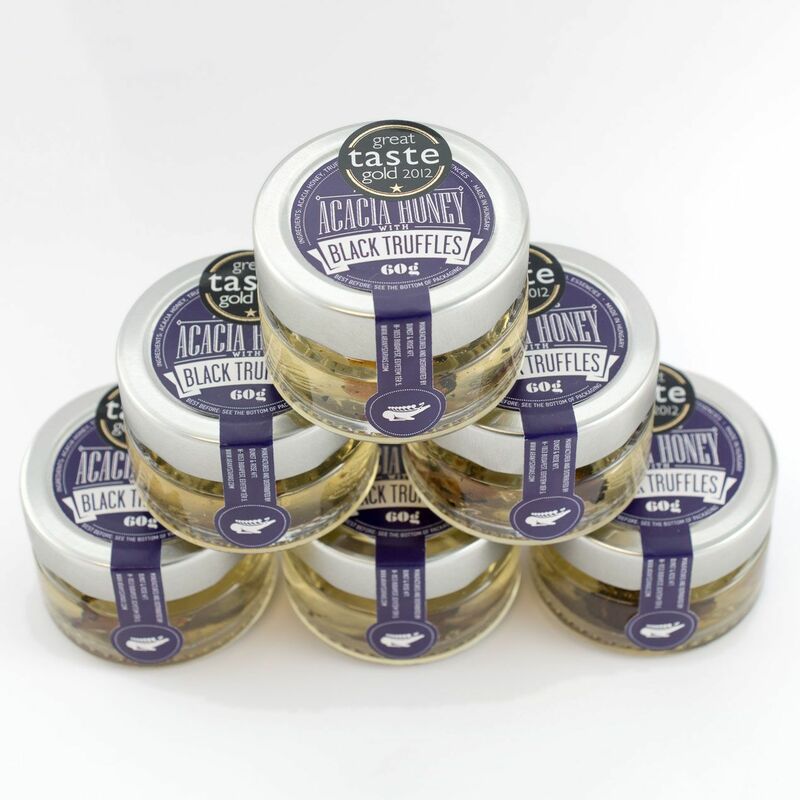 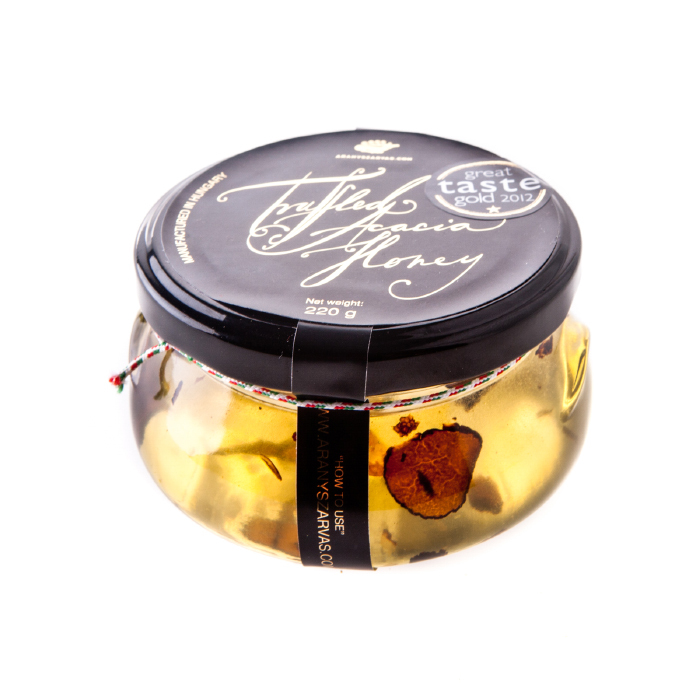 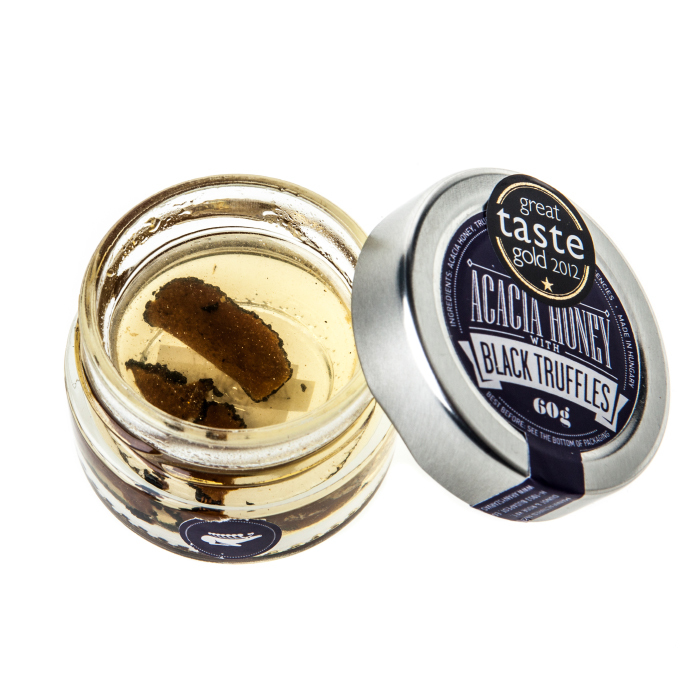 Premium quality Acacia honey scented with a generous amount of fine black summer truffle shavings. 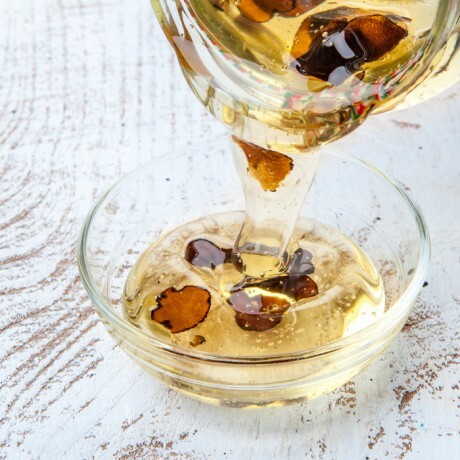 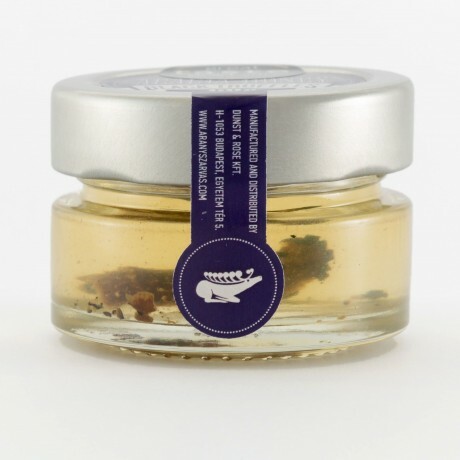 A deliciously, clean, clear & beautifully pungent gourmet honey. 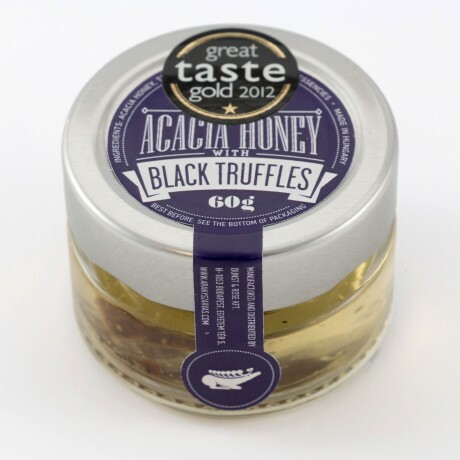 Perfect with any cheese and biscuits. 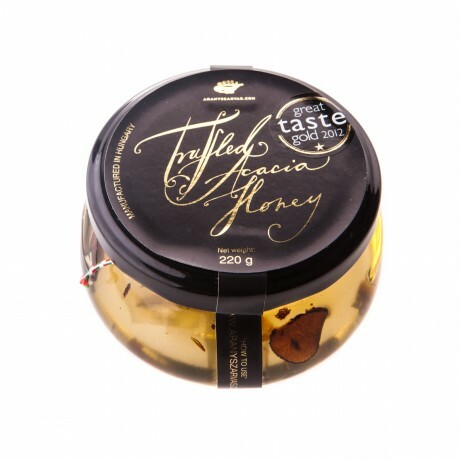 According to the BBC Good Food Show it is " the sexiest honey available." This product is dispatched by Global Harvest. 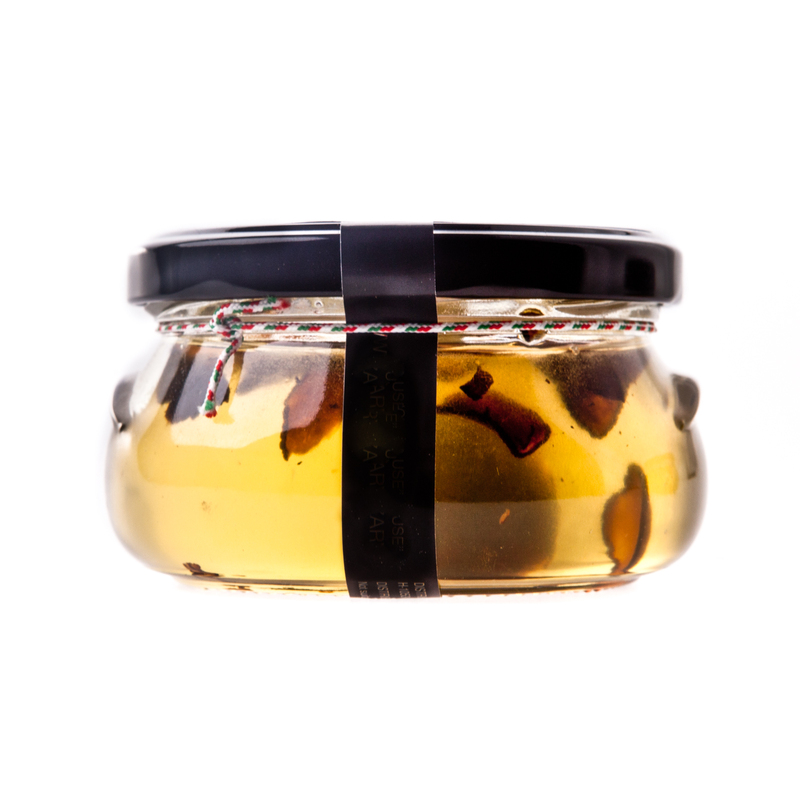 This item has a shipping weight of between 300g and 300g depending on the options selected.